Accommodation providers come and go and you may need to tweak your plans as places close and new places open. The following are the providers used in preparing this website. camping Yes Half through walk North Ryde Fairland Circuit (Walk 3). 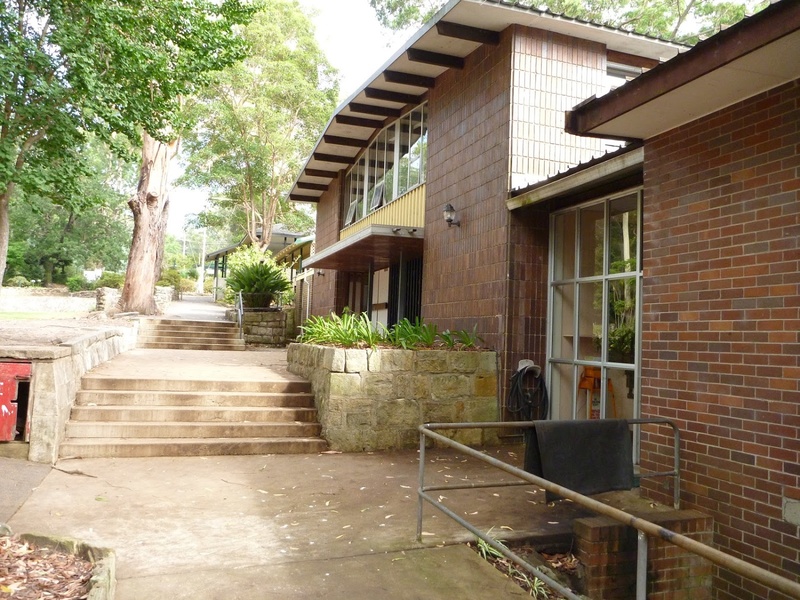 Baden-Powell Scout Camp Hostel & tent Yes Side track from waypoint 16 on walk Macquarie Park to Thornleigh (Walk 5). Thornleigh Ibis Hotel Yes At the end of walk Macquarie Park to Thornleigh (Walk 5) and start of walk Thornleigh to Hornsby (Walk 6). Hornsby Inn Pub Yes At the end of walk Thornleigh to Hornsby (Walk 6) and start of walk Hornsby to Galston Gorge (Walk 7). Hornsby Railway Hotel Pub Yes At the end of walk Thornleigh to Hornsby (Walk 6) and start of walk Hornsby to Galston Gorge (Walk 7). Convention Centre Motel Partway through walk Galston Gorge to Mt Kurig-gai (Walk 8), side trip from waypoint 5. Strappers Loft Cottage Pickup only (details below) A pickup from the end of walk Berowra to Berowra Waters (Walk 10). Brooklyn Motel Apartment Yes At the end of walk Cowan to Brooklyn (Walk 12). The Anglers Rest Pub Yes At the end of walk Cowan to Brooklyn (Walk 12). The Boathouse Hotel Patonga Hotel At the start of walk Patonga to Wondabyne (Walk 13). Somersby Gardens Guest House Side track from walk Mooney Mooney Creek Trackhead to Somersby (Walk 15) from waypoint 9. Noonaweena Cottage and resort Pickup at the end of walks Mooney Mooney Creek Trackhead to Somersby (Walk 15) & Ourimbah Vallery Trackhead to Great Rd (Walk 17) & Brumble Hill Dray Track (Walk 18) & Yarramalong to Cedar Brush (Walk 19) & Cedar Brush to Basin Campsite (Walk 20). Kiah Retreat Cottage Pickup only (details below) Pickup at the end of walks Mooney Mooney Creek Trackhead to Somersby (Walk 15) & Ourimbah Vallery Trackhead to Great Rd (Walk 17) & Brumble Hill Dray Track (Walk 18) & Yarramalong to Cedar Brush (Walk 19) & Cedar Brush to Basin Campsite (Walk 20). Yarramalong Manor Guest house Near start of walk Yarramalong to Cedar Brush (Walk 19). Lonely Goat Olives Cottage Side track from walk Flat Rock Lookout to Congewai Valley East Trackhead (Walk 23), from waypoint 4. Brown Muir Cottage Cottage About 400m from the start of the walk Congewai Valley East Trackhead to Watagan HQ (Walk 24). farmstead Pickup only (details below) Pickup at the end of walks Congewai Valley East Trackhead to Watagan HQ (Walk 24) and Watagan HQ to Heaton Lookout (Walk 25). Watagan Forest Motel Motel At the end of walk Heaton Lookout to Heaton Gap (Walk 26) and start of walk Heaton Gap to Teralba (Walk 27). Teralba Pub Pub Yes At the end of walk Heaton Gap to Teralba (Walk 27) and start of walk Teralba to Charlestown (Walk 28) . Teralba Lakeside Caravan Park Cabins Yes On the walk Teralba to Charlestown (Walk 28), at waypoint 2. Glenrock Scout Camp Cabin/hostel (Scouts and formal youth groups only) On the walk Charlestown to Merewether (Walk 29), at waypoint 8. Where it is easy to walk to the accommodation along the GNW the details are included within each walk. The following is a list of accommodation providers who are happy to pick up and drop off walkers at specific points along the GNW. This is handy for the more remote sections of the walk where there are no other facilities near the track. Strappers Loft is self-contained accommodation in Arcadia set on beautiful acreage near Berowra Waters. The one-bedroom loft is very clean and has a fold-out bed in the living room to accommodate up to four people. Prices vary from $190-$250 per night, which includes a self-service breakfast basket. You can either have dinner at the Fish Café or have pizza delivered. When booking, chat with Lindsey your host to organise a time that she can pick you up from Fish Café, near the ferry crossing. Wombats B&B is a resort-style B&B conveniently located near Point Clare shops and train station. Laurie, your host, is a very welcoming fellow and happy to provide you with a comfortable room, TV, fridge, pool, BBQ, kitchen and a chance to relax. Accommodation, breakfast, packed lunch and trackhead transport for $150 per night for the first person and $110 for additional people twin share. About 600 metres down the road is a Thai and Chinese restaurant where you can grab dinner or have a meal delivered. Kiah Retreat is a weekend farmstay cottage and B&B at Kulnura. The modern cottage is very comfortable with creature comforts like airconditioning, TV, swimming pool and BBQ. For $100 per person per night, you get a bed, trackhead transport, a light breakfast, dinner and a light packed lunch. Have a chat with Gail, your friendly host, when booking your time here. You may even want to leave your car here and use the retreat as a base for a few days’ walking. The Hunter Valley Retreat is set on a large property in Quorrobolong. There is a range of accommodation options including motel, bungalow and farmstead. Your friendly hosts, Belinda and Ann, offer a second night for free. Prices start from $120 a room + $20 pickup/drop off fee. Your hosts are happy to organise a food package as well.